American Craft Beer The best craft beer, breweries, bars, brewpubs, beer stores, and restaurants serving serious beer. Beer Buzz – 2019 Craft Brewers Conference Returns To Denver, Major Brewery Manufacturer Fails And More! Yikes, December already…and the craft beer biz isn’t slowing down any time soon. But no worries, the Beer Buzz is always on the case, keeping you up on all the beer news and lifestyle that matters. Plus we’ve an all-important update on what we’ve been drinking lately and you don’t want to miss that! The 2019 Craft Brewers Conference Early Registration Is On (Denver, CO ) – The 2019 Craft Brewers Conference, or as it’s affectionately referred to in the biz,the CBC, is returning to Denver (April 8-11). 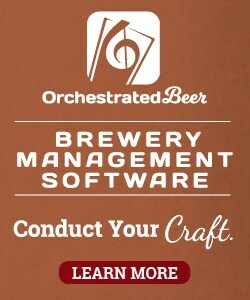 With over 13.000 brewing professionals expected to attend and more than 80 seminars and 800 exhibitors to check in on the Craft Brewers Conference is the number one environment in North America for concentrated, affordable brewing education and idea sharing…Plus it’s a rockin good time and a wonderful hang. The CBC is American Craft Beer’s favorite annual event and if you ever attended one you understand its value. And if you register today you’ll enjoy early pricing and ensure access to the welcome reception and Bruce Dickinson’s keynote address—both of which necessarily have a limited capacity. Major Brewery Manufacturer Falls Into Receivership Leaving Many Craft Brewers Hanging (South Carolina/British Columbia) – DME Brewing Solutions, a brewery equipment manufacturer that’s built equipment for more than 1,600 breweries in 70 countries that has facilities in British Columbia and South Carolina, has gone into receivership leaving more than $18 million in debt and hundreds of craft brewers wondering if they will ever see the equipment that they’d paid for. What We’ve Been Drinking Lately (Boston, MA) – We celebrated the winter holidays a little early this week with something seasonal from Boston Beer that we always look forward to. A Bostonian take on the European Witbier, Samuel Adams White Christmas is a 5.8% ABV White Ale that’s deftly spiced with fresh ground cinnamon, nutmeg and orange peel. 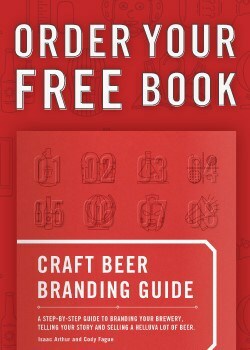 AmericanCraftBeer.com is the nations' leading source for the Best Craft Beer News, Reviews, Events and Media. © Copyright 2011-2016. American Craft Beer, LLC. All Rights Reserved.